​​We currently have a no puppies available! We are planning to breed Chesney some time next month. If all goes as planned puppies would be born some time in October. We are looking for both show and pet homes for this litter. If you are interested please fill out and submit the questionnaire below. We do not dock the tails of our puppies. 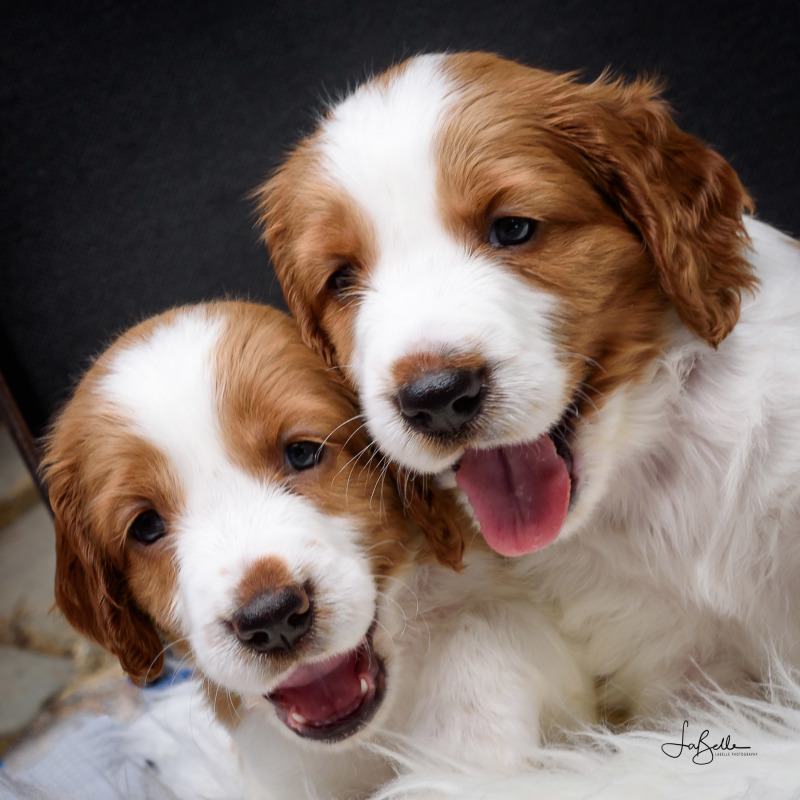 Most of our puppies are sold to be pets and beloved members of someone's family. Even though we hunt with our dogs in heavy cover we have not experienced any significant problems with undocked tails. We have come to love the look of an undocked tail and feel there is no reason to amputate a perfectly good part of a living crea​ture. We do not ship puppies as cargo and we no longer export puppies to rabies free countries that require we keep the puppy until 21 days after a rabies vaccine at 12 weeks. If you buy a puppy from us you will be required to drive to pick up your puppy or find a flight and take your puppy home with you under the seat in the cabin of the airplane. The puppy must be picked up before 9.5 weeks of age to be able to fit in the type of carrier required to fit under the seat in the cabin. According to our contract you will be required to have some health testing done on your puppy at two years of age. For pet puppies this would include an OFA Hip, Elbow, and Thyroid test. For show puppies an OFA Eye exam would be added to that list. You should be prepared to honor the contract and have these tests done when the time comes. ​It seems that most people inquire about getting a female puppy with the common misconception that the females have better temperaments. 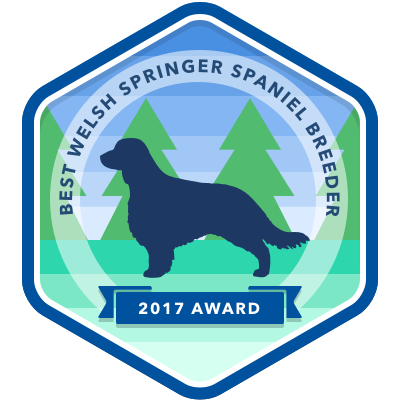 We often get the question: What is the difference in temperament between a male and female Welsh Springer? In this breed there is not really a large difference in the temperament between a male and female. As breeders we tend to keep more females than males, but of the males we have they are just as nice temperament wise as the females. In fact most visitors to our home like our males better than the females. The males tend to be very outgoing and love to have fun! If you are looking for a pet companion and not a breeding prospect you may want to consider a male too.